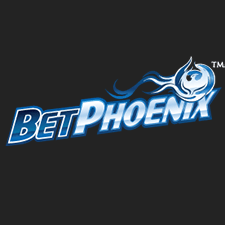 Landing a truly groundbreaking concept, with a fast-paced slant on the merging of Eastern and Western gaming scenarios was a real challenge we took on at BetPhoenix. We made it all about the gambling experience, the adrenaline of betting on the sports that strike your fancy, the quickening of your senses at the casino, the thrill and rush of horse racing, the surge of exhilaration of sportsbook wagering. We give you an online gambling trip that galvanizes your emotions and lets you ride the wave in a safe, secure online/mobile platform and call center focused on customer satisfaction that speaks your language. No language barriers, an all-in-one online concept where you really feel you are our number one priority. We pioneered live dealer casino games back then, and we are a leader in the gaming industry now. We set the pace for the rest of the industry. Sportsbook, Live Casino, Virtual Casino, Racebook… We make your satisfaction ours.